Throughout the majority of the electric power era’s first 100 years, the power supplier and the consumer had a simple relationship: electric utilities supplied the power, and the public promptly consumed it. The utilities were bound by an obligation to serve the customer, to provide reliable power and to do so safely; for the most part, they delivered on that promise. This was the way of the world for much of the 20th century, but as desire for a free-market approach gained traction with the introduction of the Public Utility Regulatory Policies Act (PURPA) in 1978, the industry started to unbundle and restructure. The obligations to serve remained, but as more players became involved, the complexities of operating the grid began to multiply. Today, four decades into this transformation, we continue to see new players, new opportunities and new challenges, but we also see the same focus on meeting fundamental obligations. (86 percent) as important or very important issues (Figure 1). 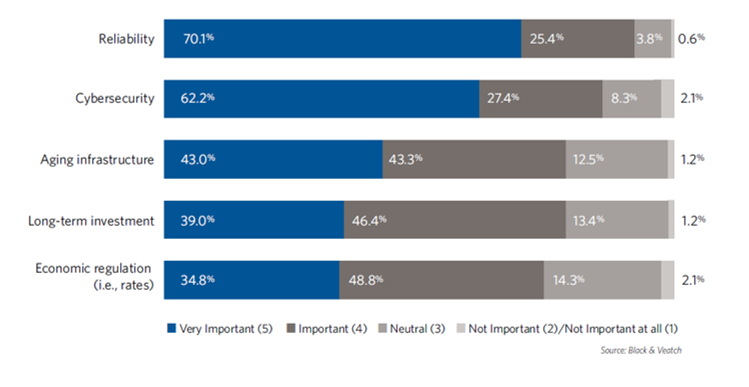 These responses have consistently ranked among the top concerns for the industry for the past five years. Reliability lies at the heart of providing consistent service to consumers — whether the grid is under attack from rogue cyber hackers, or facing potential component failures on equipment that has reached the end of its useful life. This reliability challenge has only become more complicated as the grid continues to integrate with emerging technologies. 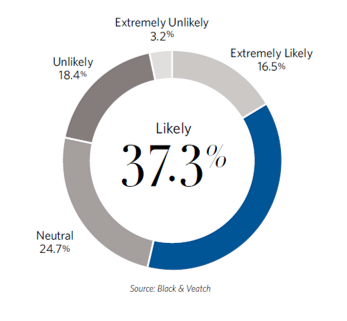 With 54 percent of respondents expecting third parties to either be “likely” or “extremely likely” to enter the market and supply power to customers, the grid must be reconfigured and enhanced (Figure 2). meter solutions and investments in the grid. Nearly 50 percent of utilities say they are actively working with their customers on alternative energy solutions and with regulators to enable sound investments. Utilities who are not adapting to this new energy grid world could face significant economic challenges, often referred to as the “utility death spiral.” In fact, more than 70 percent of survey respondents view this scenario as a plausible outcome if utilities either fail to implement their own alternative energy solutions or if regulatory models preclude market flexibility. Time is of the essence for utilities to adapt. 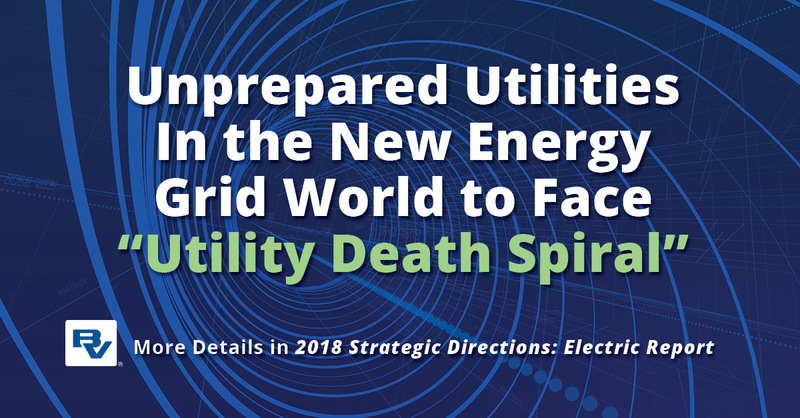 Nearly a quarter of the respondents believe utilities have already begun feeling the effects of the “death spiral,” with another 61 percent believing that if they haven’t already, they will within the next 10 years. These changes and challenges seem to be placing traditional electric power utilities at a crossroads, though it’s likely that big changes to the grid itself won’t be too abrupt. Instead, we have seen the slow unbundling and continued consolidation of investor-owned utilities across the United States over the past 20 years, including the acquisition of well-established U.S. utilities by international companies. new ideas on how to produce, store, transport and use electricity. We are witnessing an investment resurgence in an aging infrastructure that needs to reconfigure and expand to meets its obligation of delivering safe, secure and reliable electric power.